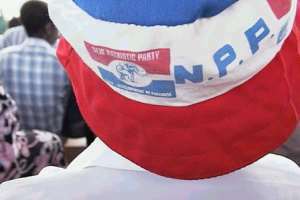 Sampa (B/A) June 27, GNA - Mr Joseph Oppong, Chairman of NPP in Jaman North Constituency in the Brong Ahafo Region, has commended the Government for the creation of the constituency and Jaman North District, which he said, was in the right direction. He was addressing the first meeting of Executives of the Party as part of activities to mark the creation of the Constituency and the District at Sampa, the District Capital. Mr Oppong said the people appreciated the Government's gesture and appealed to the youth, chiefs and opinion leaders to collaborate to build the District. He called on members and supporters of the Party to work more diligently than before to retain NPP in power during the impending general election. Mr Oppong also appealed to the Leadership of the Party to tolerate divergent views to ensure free and fair elections and advised the Executives to lead exemplary lives. Mr. J. E. Manu, First Vice-Chairman, gave the assurance of mobilising the people to work towards the retention of the Party in power. The Vice-Chairman advised the five candidates contesting the parliamentary primaries in the constituency to co-exist and called on the delegates to avoid misconduct. He entreated the Leadership of other political parties to educate their supporters and members to conduct themselves well for peaceful electioneering campaigns. Mr Manu asked all parties to refrain from insults and abusive language at campaign rallies to ensure violence-free elections in December.